See what various video game characters have personalize on their license plates. I originally planned to include the names of the characters below the license plates. But I decided that it would be more fun to let people figure out who’s is who for themselves. This did mean that I had to scrap a few of the tougher plates. For example, one of the scrapped ideas was “PYR8 QT” and I didn’t think people would be able to guess it was Risky Boots from Shantae. See what I mean? Nonetheless, I did have fun making these. 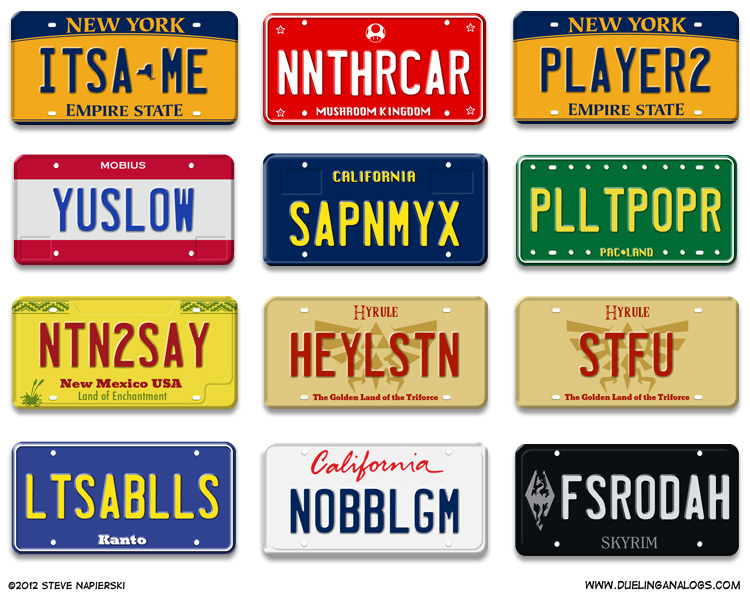 And if you can think of any good ideas for personalize vanity plates for video game characters, then mention them in the comment section below.